Kojève’s slim volume, a translation of a two-part article that originally appeared in 1934/35, while its author was conducting his famous seminars on Hegel in Paris, is itself an “adaptation,” as the translators’ put it, of a 1926 dissertation submitted as a dissertation in Heidelberg under the supervision of Karl Jaspers. This French-language article “La métaphysique religieuse de Vladimir Soloviev” was not Kojève’s first presentation of Solovyov’s ideas. He had previously published in 1930 a short piece entitled “Die Geschichtsphilosophie Wladimir Solowjews,” presumably also culled from his dissertation. Kojève was also not the first Russian to submit a dissertation to a German university on Solovyov. Fedor Stepun had already in 1910 – only a decade after Solovyov’s death – submitted a dissertation also with the title Die Geschichtsphilosophie Wladimir Solowjews to Heidelberg University. Alexandre Kojève’s name needs little introduction to Western audiences familiar with secondary literature on Hegel. The notes from Kojève’s Parisian lectures at the École Pratique des Hautes Études on the Phenomenology of Spirit have long been available to English-speaking philosophy students. Kojève, born Aleksandr Kozhevnikov in Russia in 1902, had by all accounts a unique personality. In the same year that he completed his dissertation, he moved to Paris, where another well-known Russian émigré scholar/philosopher Alexandre Koyré happened to have established himself as early as 1912 after Husserl had rejected his dissertation. (Despite this, Koyré remained on quite friendly terms with his former mentor, who attended Koyré’s dissertation defense in Paris.) Later in life after World War II, Kojève worked in the French Ministry of Economics and from there was instrumental in establishing the European Common Market. Although a Marxist, at least of sorts, he was invited to Berlin in 1967 by radical students to whom he allegedly advised that they should turn their attention instead to learning ancient Greek! Kojève’s book can be read from two distinct viewpoints. We can, on the one hand, comb the text for Kojève’s own positions at the time of its writing. Bearing in mind his later emphasis on the Hegelian dialectic and in particular on the master-slave riposte Kojève made famous in his reading of Hegel’s Phenomenology, we can attempt to see its anticipation here. Indeed, there are good grounds for doing just that, and we find within the pages of this book a considerable discussion of the Absolute vis-à-vis the Other. Within the framework of Kojève’s concern, this is both understandable and cannot be held to be inappropriate or incorrect. Kojève’s familiarity with Schelling and Hegel as well as with the German mystical tradition is clearly evident throughout his text. Whether Kojève’s emphasis on Solovyov’s debt to those German writers is excessive or not is for the reader to determine. No one has seriously questioned, however, that Solovyov owed a great debt to Hegel and the later Schelling, even though specific references to the latter in Solovyov’s writings are virtually non-existent. On the other hand, one can read Kojève’s book apart from its author’s later writings, taking it as what it purports to be, namely, a secondary text on Vladimir Solovyov, which is how we shall approach the book here. Solovyov is likely to be a name less familiar to an English-speaking philosophical audience. Although generally regarded as the greatest Russian philosopher of the nineteenth century, his works are almost invariably classified as belonging to religious philosophy. We find in them, especially his early writings, hardly a trace of the concerns that would rivet either the budding German neo-Kantian movement or the logic of such figures as Bolzano, Frege, or Husserl. Solovyov, instead, was deeply religious in that his beliefs were carried over into his philosophical investigations, something that cannot be said about the other figures mentioned. Solovyov did seek to express his religious faith in the form of a philosophy employing his knowledge of both the history of philosophy and philosophical terminology, suitably adapted of course. Thus, a reader coming with contemporary analytic sensibilities will look in askance at such claims as that ideal Humanity, the Soul of the World (note the capitalizations) is an individual, free, and independent being (58). Kojève, especially in his later pages, is particularly prone to such statements without comment, let alone critical assessment. Solovyov, certainly, writes in such a manner. However, should a twentieth-century philosopher let such a claim pass freely? There are countless additional statements that Kojève affirms as Solovyov’s position and that the former fails to question or to clarify. To be sure, he offers a masterful paraphrase, but it is just that and no more than that. We see, then, that Kojève is correct in seeing the starting point and the center of gravity of Solovyov’s thought lies in metaphysics. What Kojève does not make sufficiently clear is that his characterization applies most poignantly to the early Solovyov, but, arguably to be sure, not to his later works. Indeed, Kojève focuses almost exclusively on the early Solovyov, though he does reference from time to time Solovyov’s 1889 Russia and the Universal Church, which appeared originally in French and in some proffered periodizations belongs to Solovyov’s middle period. As with most Solovyov-scholars, Kojève sees Solovyov’s literary activity falling into three distinct periods. Doing so is in keeping with Solovyov’s own fixation on triadic schemes. Kojève in his earlier German-language essay on Solovyov’s philosophy of history from 1930 found that the first period featured a philosophy of history under the influence of the Slavophiles. During a second period a Catholic influence predominated, and the third period or standpoint, which was also the briefest, was represented by just one writing, the three conversations known in English translation as War, Progress and the End of History from 1900. This appeared just a short time before Solovyov’s death. We could object to Kojève’s particular delimitations, but we should keep in mind that his concern in this early essay was with Solovyov’s philosophy of history, not his metaphysical system. Unfortunately, Kojève was noticeably silent on just when this supposed “Catholic period” in Solovyov’s thought began, but presumably it extended until the writing of the 1900 piece. In the book under review here, Kojève offered a different periodization for Solovyov’s philosophical works, presumably owing to the book’s different orientation – but, nevertheless still three and only three periods. Kojève finds that the first one serves as a historical and critical introduction to Solovyov’s metaphysical system, a system that he had already in his mental possession by this time. Kojève, unfortunately, fails to demarcate how long this period extended. But it surely includes Solovyov’s first major writing, viz., his magister’s thesis The Crisis of Western Philosophy, for he there declares, as Kojève notes, that a definitive metaphysical system would emerge on Russian soil in the near future. Kojève is somewhat misleading in stating that this system would, in Solovyov’s eyes, be his own. The metaphysical system Solovyov had in mind at the time of writing his Crisis text was that presented by the Eastern Church Fathers. Contrary to Kojève’s claim, Solovyov had neither a fully formed system at this early date nor would he ever if by that we mean Solovyov had already conceived all the details. For example, when he published his major systematic work the Critique of Abstract Principles he had not yet, nor would he ever, have a hammered out comprehensive philosophy of art. Kojève characterizes the second period of Solovyov’s activity to be the shortest, and during this time he presented an outline of his metaphysics. It is from the works of this period that Kojève will draw much of his discussion. The third period is the longest. However, since Solovyov apparently at this time lost much of his interest in theoretical questions and in metaphysics proper, it is of little concern to Kojève. Indeed, the latter has little to say about the works stemming from this last phase in Solovyov’s thinking. What is hard to countenance is Kojève’s dismissal of those works on the grounds that by 1890 – and thus just after the publication of Russia and the Universal Church – Solovyov had completed the elaboration of his metaphysics and would not make any changes to it important enough to mention. In light of the fact that Solovyov explicitly rewrote his ethics resulting in The Justification of the Moral Good and started a revision of his “theoretical philosophy” immediately after doing so, it is hard to assent to Kojève’s claim. Kojève draws his discussion of Solovyov’s metaphysics from three early works in addition to the 1889 one. Although Kojève recognizes that there are obscurities, inaccuracies, contradictions, and shortcomings in Solovyov’s works, these are not often carefully indicated. Kojève also charges Solovyov’s thinking with being often abstract and superficial, more religious than philosophical. Yet, Kojève avoids philosophical, i.e., rational, and secular criticism of that thinking. As have many other commentators on these writings, Kojève sees a marked inspiration from Schelling in Solovyov’s constructions. 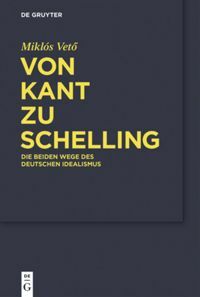 Kojève goes so far as to say that Schelling served almost exclusively as Solovyov’s model and that the German Idealist’s philosophy lay at the root of nearly all of the Russian’s metaphysical ideas. What Kojève does not point out is the fundamental differences between Schelling and Solovyov. One of the most striking, of course, is that for the former the “positive” reconstruction of Christianity is merely the first step on the road to a philosophical metaphysics, whereas for Solovyov his elaborations are meant as an expression of the truth of Christianity. Solovyov had no intention of replacing Christianity with philosophy of any sort. Notwithstanding the alleged influence of Schelling, we cannot be surprised that Kojève sees as well a dialectic of the “Other” in Solovyov’s metaphysics, although he finds that dialectic to be the most obscure and most abstract part of it. Those interested in Kojève’s thought for its own sake can surely find much of interest here. Most curious, though, is that instead of seeing Solovyov’s discussion as drawn from Hegel’s Phenomenology, Kojève sees it as a “simplified and impoverished paraphrase” of the relevant speculations found in Schelling, who, in turn, is largely indebted to Jakob Böhme (23). In a sense, we cannot truly be surprised. Others even more recently, such as Zdenek David, have recognized the influence of the German mystic Böhme on Solovyov and Russian religious philosophy in general. Solovyov may have first turned to Böhme through the former’s philosophy professor at Moscow University Pamfil Jurkevich and the spiritualist circle around Ivan Lapshin, a civil servant, orientalist, and father of the St. Petersburg philosophy professor Ivan Ivanovich Lapshin. Kojève, in turn, may have been alerted to this German source of Solovyov’s own metaphysics through the 1929 book on Böhme by his friend Koyré. Kojève, of course, recognizes that there is a certain “kinship” between the Christian doctrine of the Trinity and Neoplatonic teachings, but he finds that kinship to be extremely vague. What kinship there is between the Christian doctrine and Neoplatonism can be easily explained through the influence of Neoplatonism on early Christianity, when the latter was still in its formative stages. Solovyov himself gave neither any direct indication nor any evidence of the source or sources of his own conception of the Christian Trinity. We have no basis to hold that Solovyov was directly influenced by Plotinus or any of his disciples here. For Kojève, Solovyov saw his own version of the Trinitarian doctrine arising from his idea of the Absolute independently of the Christian tradition to which he otherwise expressed such allegiance. Solovyov’s conviction in his originality in this matter is illusory and shows the extent to which Solovyov thought was permeated by dogmatism. He believed that thinking through his religious experience he could deduce all dogmatic truths including that of the Trinity. In Kojève’s eyes, the speculations of the German Idealists, rather than the Neoplatonists, served as Solovyov’s more immediate source (28). What we have seen thus far forms a section of the book that Kojève calls “The Doctrine of God.” The next section, “The Doctrine of World” is frankly more metaphysical, if that is imaginable. Kojève provides a faithful recounting of Solovyov’s early metaphysical position, but without extended critical reflection on it from the standpoint of concrete, empirical substantiation. Solovyov’s conception of Divine Humanity is above all the “culmination and crown” of his religious metaphysics (31). Whereas we can affirm that it is the crown of that doctrine, it strains logic to hold that it, in the same breath, is also the starting point of Solovyov’s doctrine of the world. How it can be both the culmination and starting point is unclear unless we distinguish in some ill-defined manner Divine Humanity from the world. Solovyov, after all, has precious little to say about the world apart from humanity. Even more egregious, though, is Kojève’s assertion that Solovyov’s idea of Divine Humanity, being the “keystone” of his metaphysics, is, for that reason, the pivot of his entire philosophical system. Such an assertion may be true on the face of it for Solovyov’s early writings, but it needs demonstration when affirmed of the writings stemming from the last decade of Solovyov’s life. Kojève is on firmer grounds in claiming that the presentation of Sophia in Solovyov’s metaphysics and that in his alleged mystical experience is enormous. Since the manuscript material related to Sophia has now been widely available for some years, the reader can easily confirm Kojève’s statement that many of the elements in the mysticism associated with Sophia have equivalents in Solovyov’s early metaphysics. Yet, Kojève correctly recognizes that the Sophia depicted in that metaphysical doctrine cannot be the image he supposedly saw as a vision while sitting in the British Museum’s library and which directed him to proceed forthwith to Egypt. Kojève holds that whereas Solovyov purports to analyze the dialectical notion of the Absolute deductively to obtain his doctrine of God, the doctrine of World employs an empirical method. It is to Kojève’s credit to recognize that Solovyov does not adhere rigorously to these two respective methods in their respective domains. In fact, Kojève is, if anything, too polite. In both doctrines, the assumptions made are staggering in number. Solovyov sees the entire doctrine of God as merely a rational deduction from what is contained in a mystical intuition of divine love. He makes no allowance for those who are unable to intuit this Godly presence, and the premises for his a posteriori, inductive doctrine of the World are similarly not ones with which everyone would agree. The early Solovyov has God doing this and that spelled out in language just as questionably appropriate as the general idea being expressed. On what basis Solovyov determines that God imparts freedom to his creation and then separates Himself from that creation is anyone’s guess. Kojève, following in Solovyov’s footsteps, apparently feels no trepidation in using the word “freedom” in conjunction with the Soul of the world, but Kojève provides no non-circular definition of the term. Indeed, even an idea itself can be characterized as free! Again to Kojève’s credit, he recognizes that Solovyov is indebted to others, particularly to Schelling, which can come as a surprise to no one. Immersed as he was in the metaphysical aspects of German Idealism, Kojève finds Schelling behind Solovyov’s formulations, with the general ideas and structure being similar (71). There is little here in Kojève’s work that we can easily characterize as phenomenological, focusing as it does on the early metaphysics of Solovyov. Kojève makes no attempt to provide a non-metaphysical reading. Certainly, Solovyov himself understood his position as definitely, even defiantly, religious. But what we, as readers, can ask is why this work at this time. The translators in their introduction admirably discuss the difficult writing style Kojève employed. To their credit, were it not for their comments the reader would likely not realize the points they make. The English is generally smooth and flows as gently as one could wish given the abstruse subject matter. Knowing something about Kojève’s writing style might tell us something about Kojève, but it does little for our knowledge of Kojève’s thoughts on Solovyov. It would have been helpful if the translators had situated this work within Kojève’s corpus and at least have compared the ideas presented with those found in his work on Solovyov in German. Perhaps that was not their intention. 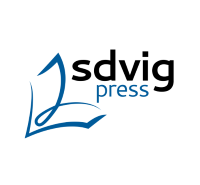 But if we look at this extended essay as an intended contribution to scholarship on Solovyov, we can ask what its relationship was at the time of its original appearance to other works on Solovyov in general but particularly to those in the French-speaking world. Unfortunately, the translators also do not inform us why they singled out this work for their efforts. Is it outstanding in some special manner compared to others? Were it not for the fact that Kojève later became widely known for his Hegel-interpretation would they have translated it nonetheless? Most regrettably, the translators do not situate Kojève’s work within the body of Solovyov-scholarship in recent years. They take no account of the vast literature in either Russia or the West that has appeared particularly since the collapse of the Soviet Union. Again, the question, then, arises: Why this work at this time? Is Kojève’s extended essay in some manner better than recent work on the same topic? The translators’ references can be confusing or at least troublesome. Whereas the translators make the appropriate references to Solovyov’s works, these are to the now obsolete first edition of the collected works from the first decade of the 20th century instead of availing themselves of the far more accurate and detailed 21st century ongoing edition together with its detailed commentary. Additionally, the references given are always to the mentioned Russian edition even when an English-language translation exists. This poses an obstacle to anyone without knowledge of Russian but who wishes to pursue some idea further. It certainly would also have been helpful to mention the title of the individual work by Solovyov, rather than simply the volume and page number within the set of the collected works. In conclusion, whereas the advanced student of Solovyov may find Kojève’s work unnecessary, those largely unacquainted with the ideas of the Russian religious philosopher will find this to be a splendid introduction as well as further evidence of the infiltration of German Idealism into Russia. To begin with the title. ‘The last fortress of metaphysics’ is for Francesco Vitale architectural; it is indeed, architecture itself—at once protected and encumbered by a manifold of “theoretical, political, institutional, symbolical, and material resistances” (xvi). In its encrusted ‘lastness’ architecture presents thus the litmus test of deconstruction, making the latter’s intervention into the former the measure of deconstruction’s efficacity. It is at the juncture of this hyletics, upon the rock of its consistency, that Derrida’s confrontation with Peter Eisenman will play out, a confrontation of particular significance for the encounter of deconstruction and architecture. But since the onto-political fate of the latter with philosophy will be from the outset intertwined, so must be the fate of their critique. Accordingly, Derrida destabilises and solicits the significance of the architectural foundation: “Architecture must have a meaning, it must present this meaning, and hence signify. The signifying or symbolic value of this meaning must command the structure and syntax, the form and function of architecture. It must command it from the outside, according to a principle (archē), a grounding or foundation, a transcendence or finality (telos) whose locations are not themselves architectural.” (xviii) With the same stroke, Derrida solicits the significance of the sign itself, a significance always already philosophical. It does so, by exploring the work of spacing that antecedes all given and constituted internal and external spaces. Vitale’s exploration begins with a return to the ‘law of the oikos’. The book’s first two chapters deal with the Hellenic legacy that informs the shared fate of philosophy and architecture. For, as Derrida reminds us: “there is an architecture of architecture. Down to its archaic foundation, the most fundamental concept of architecture has been constructed. […] This architecture of architecture has a history.” (1) Vitale locates the significant point of entry to this history in the Greek polis in its intricate relation to the oikos. The politics of habitation in Athens rests on the myth of king Erichthonius, “who was born directly from earth, not from a woman, but from the soil fecundated by the seed of Hephaestus, dispersed after his clumsy attempt to possess Athena.” (7) In this reading, the soil from which Erichthonius emerges, becomes the mythical foundation of all eco-political foundations. Since no reality will be able to adequate the myth, the latter will continue to haunt the imaginary of the West, producing building and dwelling as much as theoretical and political effects. For Derrida, this ontopology, this “axiomatic linking indissociably the ontological value of present-being (on) to its situation, to the stable and presentable determination of a locality, the topos of territory, native soil, city, body in general,” is today more obsolete than ever. (7) This certainly does not mean overcome. The Erichthonian soil determines the law of the oikos, a law that “imposes the task of thinking identity (ontological and political identity) in terms that are irreducibly spatial: origin as a place, permanence, stability, being distinguished and protected from difference, alterity, the stranger, and the foreign.” (11) It does so by presenting itself as an immutable, yet indeterminate foundation. This terrestrial foundation bears the name of khōra. Derrida explicates the status of the khōra further: “Perhaps, because it can receive everything, one could give it all the names one wants, since it can take any form, ultimately one could give a name different from khōra. As it does not exist under the form of a being identical with itself, of an ideal referent or a thing, one does not see why it would have only one name. But it is precisely because of this that it is always necessary to name it in the same way, since it is paradoxically necessary to keep the sense that it has no sense.” (12) Being the signifier of a signified which is not, the khōra is at the same time a quasi-index, a this, each time unique, yet nonetheless a name, and as such more than a mere this, a cipher eliding indication and signification. Khōra accordingly designates political space, in the primary sense of invested, occupied space. (13) This space is occupied by the ‘dead sons of the polis’, the Erichthonian progeny which returns to rest forever in the originative soil of the city, now the burial ground of the Kerameikos. (8) The soil of the city the dead will share with the heroes, the cult of which is reactivated in the 8th century BC. The Mycenaean constructions, used by the cult are thus reactivated, offering not only the reassurance of a religious a continuity, but also assuming “a civic as well as territorial value,” by gathering the community and rooting it in the soil. In tandem, the acropolis will be “heir of the royal fortress of the Mycenaean age,” circumscribing the unity of the polis. (22) Whereas the fort would guarantee permanence to the city because of the security it afforded, the architectural permanence of acropolis offers a symbolic security. Positioned at the akron, the visible limit of the polis, it determines its whole territory, stabilising the khōra. The ethico-political significance of this stability will lend support to the Socratic indictment of the itinerant sophists, who lack a proper place, an oikos and thus the nomos, the law that pertains to it. (10) The city must exclude the dangerous other: it is a philosophical as much as an architectural function, a function summed up in the designation of an outside against a stable, striated inside. The law of the oikos, coupled with the law of the polis protect this inside, arresting and fixing the fluidity of the khōra. The promise of this ‘architecture to come’ is affirmative of its own possibility, yet never positive. It never posits itself in a fortified security, but remains ‘risky, uncertain, improbable’. (34) It thus remains open and assumes the responsibility not only towards its own future, but towards the other to come, the nameless other, whom we do not know, cannot prefigure and imagine, the other that we do not know when, and altogether whether, will arrive. (38) This is a task not only of architecture, but of the polis as a whole. In order to achieve this, a city must strive to remain “indefinitely and structurally non-saturable, open to its own transformation, to additions that come to alter or dislocate as much as possible the memory of the heritage.” (41-2) As prime counterpoint to the acropolis and the funerary sēma, “Derrida conjures up the example of the temple of Ise in Japan, the most remarkable place of worship of Shintoism. The temple has been dismantled and rebuilt with new materials every twenty years for one thousand five hundred years.” (42) If such a thing was ever needed, one has here the most literal and least literary moment of deconstruction. It is all the same a sign. The following, fourth, chapter undertakes to trace the passage ‘from architecture to writing’ and then ‘from writing to arche-writing’. Derrida, wishes to abandon ‘the envelope of a book’ to seek a different organisation of space—a space, where one does not only read, but also write between the lines. As readers, we are not handed over the model or blueprint of such ‘architectural artifacts’ as Glas or La Carte Postale, but are rather invited to inhabit their text. (47) Neither, because there is no model, nor because the model must be kept secret; we are not presented with the architectonics of architecture, because although the act of writing that has escaped the book, is a spacing akin “to the production of architectural drawing,” (49) this drawing resists its summary, its reduction to a few master-lines. The architecture of deconstructive writing resists the enclosure and subsumption under its own archē. The book represents for Derrida precisely such a closure or totality, be it finite or infinite, of the signifier, which can only be established, once a totality of the signified has been previously asserted. (50) Although the historic veracity of this assertion is hardly questionable, Vitale could have here explored the necessity of the equivalence: even though no ground or telos might ultimately support totalisation, it appears theoretically possible to de-couple a totality of signifiers from a totality of signifieds. A ‘trans-total’ correspondence, one between a totality and a non-totality, is imaginable. Architecture offers a paradigmatic possibility of a rupture with totalising writing. Pluri-dimensionality becomes the operative word. In Vitale’s words: “architectural writing is able to articulate geometric and mathematical notation, perspectival drawing and multiple reference systems, computer graphics, diagrams, photography, spectrography (which detects the physical nature of sites and materials as well as the anthropic presence), tridimensional models, and so on.” (51) It contributes thus to the deconstructive programmatic of conceiving “in a manner at once historical and systematic, the organized cohabitation, within the same graphic code, of figurative, symbolic, abstract, and phonetic elements.” (58) The war of linearisation against the originary pluri-dimensionality of writing, a war that reduced the cohabitation of these dimensions to successivity has long appeared won. Derrida, after Leroi-Gourhan, discovers the potentiality of resistance against the dominion of linearity, which marks the promise of a different scriptural future, in the sign of the ‘mythogram’. In the mythogram, “meaning is not subjected to successivity, to the order of a logical time, or to the irreversible temporality of sound. This pluri-dimensionality does not paralyze history within simultaneity.” (59) Mythography grants us access to arche-writing. Leaving this passage to arche-writing underexplored, Vitale follows Derrida, in an open gesture towards writing and reading architecture as mythography. The fifth chapter explores the theme of spacing as it comes into play in Tschumi’s research and work. Spacing must be understood not only as an empirical necessity of every system of notation, of every scriptural or inscriptive system, but also as an irreducible condition of experience and of the production of meaning. Spacing is already there in every presence, at the heart of its own self-immediacy. (63) Accordingly, spacing is the imprint of the play of the trace, of a movement that produces space in its unfolding. The trace, as “the opening of the first exteriority in general,” (56, 64) spaces by showing the exteriority at the heart of every interiority. For Vitale, Tschumi’s work follows faithfully the play of the trace. It is thus able to offer a new architectural possibility, a possibility that is “neither architecture nor anarchitecture, [but rather] transarchitecture.” (68) What is particularly significant and particularly topical for Derrida in transarchitecture is that “it comes to terms with the event; it no longer offers its work to users, believers, or dwellers, to contemplators, aesthetes, or consumers. Instead, it calls on the other to invent, in turn, the event, to sign, consign, or countersign: advanced by an advance made to the other—and maintaining architecture, now architecture.” (69) At a given juncture, Tschumi offers for Derrida the inventive now. It is because of this attentiveness to the plasticity that the play of the trace necessitates, that Tschumi appears not to betray the promise of deconstruction for a different architecture. Thus, the “unique existence and logic” that “books of architecture, as opposed to books about architecture” develop, (70-1) will not be met by Vitale with the suspicion reserved for Eisenman’s attempt to extricate architecture from the exigencies of deconstruction, by establishing a sui generis space for it. Perhaps then the space devoted to the latter’s critique would have been better employed in following much more closely the former’s appraisal, exploring the architectural pathways opened by Tschumi’s practice. Presentness as the third term is the wager of the whole dispute and the point on which Vitale will concentrate his vindication of deconstruction. He will do so by means of a theoretico-historical and a logical argument. The former suspects the structure of a transcending-encompassing third of regressing into dialectics and producing dialectical effects. Accordingly, Eisenman will remain haunted by the spectre of an architectural Hegelianism; a spectre he will not even attempt to shake off. (88) The latter argument presents Eisenman’s logic as circular. We are given to read: “Presentness is the possibility of another aura in architecture, one not in the sign or in being, but a third condition of betweenness. […] This excess is not based on the tradition of the plenitude, but rather is the condition of possibility of presentness.” The circle is clear: “Presentness is the condition of possibility of the excess that is the condition of possibility of presentness.” Neither Eisenman, nor Vitale seem to be interested here in a notion such as ‘equi-primordiality’, as an escape from the conundrum. In the artifacts of the architectural tradition and despite the latter’s claims, the cohabitation of presence and absence remains productively irresolvable. Within this picture Eisenman appears merely to reinscribe a traditional gesture in the architectural matrix. In order to decide the fate of this gesture Derrida invites Eisenman to position himself with regard to Benjamin’s essay Experience and Poverty, in which a ‘constructive destruction’ of aura is undertaken by the ‘new Barbarians’. (90-1) Benjamin observes the destruction of aura in the glass and steel work of architects such as Loos and Le Corbusier build with steel and glass. The hardness of the former and the (assumed) transparency of the latter preclude auratic effects, such as uniqueness, exclusiveness and mystification. Eisenman, whose attempt to rehabilitate aura is by now clear, will sidestep Benjamin’s essay. Here ends therefore Derrida’s engagement with Eisenman, as well as Vitale’s chapter. It is perhaps unfortunate that the latter did not attempt to identify and extract those intuitions in the latter’s work that originally attracted Derrida, and might still hold the potential of productive effects—intuitions working precisely against Eisenman’s overall gesture. The chapter’s polemic shares thus little of deconstruction’s sense of a fidelity working from within, remaining rather a siege extra muros. The last chapter of the book functions as a coda to the series of forays of the previous chapters. Vitale returns with Derrida to Saussure, to find a sign both arbitrary and differential (102-3), which will support the renewed call for the displacement of the linearity of architectural and non-architectural writing. The notion of the trace, the fruit of the internal tensions of the two-fold character of the sign, provides the “finite and material element of a composition that takes on the shape of an architectural product,” in order to effect the displacement of linearity. (105) The play of the trace spaces, gives space, opens up the matrix of the khōra. The implications of the making, the arrangement of scriptural space are catalytic for the ciphering and de-ciphering of the text. Moreover, the text itself will reinforce its architectural space, the way a stalactite becomes the support of the cavernous, mineral space that produced it. Vitale is observant: “Genet’s work, once inscribed within the frame of Glas, can no longer be entirely solved, absolved, detached from the act of absolute self-naming to which it aims. To realize/idealize itself as such, it cannot but go through the erection of a column of writing, and thus it must leave the traces of its finite and contingent passage.” (109) In this, reading Genet is constituted by Derrida as the anarchitecture that opposes Hegelian architectonics; the space between the two becomes the desired space of transarchitecture, a space between two architectures, two idioms, two tongues. If a kulindros designates the round body of a pyramid, an obelisk or a column, as much as a rolled manuscript or a scroll, Glas, working between its two columns, presents itself as a transversal writing, the most literal trans-script. The integrated collection of essays that comprise The Last Fortress of Metaphysics would be strengthened if, rather than being their object, trans-scripturality was their constitutive mode of articulation. A second language would have to infect that of Derrida’s, the language of “the master of masters,” in Vitale’s acclaim. (viii) Adoration repays badly the master; if the master is to be followed, his performance must be performed anew. To perform anew in this instance would also require heeding the words of Derrida that Vitale is familiar with: “I am not happy with the concept of collage. I never use it as such. It is a traditional concept. Collage implies fragment, and that implies that there is a proper body the fragment belongs to.” (97) The collage that The Last Fortress is, troubles the reader less by the precariousness of its unity or its repetitiveness, as by the tempting promise of a proper textual body, a naked body in which the intricate and far-reaching interweaving of deconstruction and architecture is exposed in its plenitude. All the same, Vitale’s effort is a first step and as such a significant contribution to the labour required in appraising the lure of this promise. Mereology studies the nature and relationships of parthood in objects, considered in the most general way. 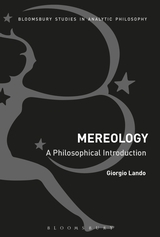 The book by Giorgio Lando, “Mereology: A Philosophical Introduction,” aims to provide an oriented introduction to the topic. The literature on the subject does not lack examples of introductory volumes. However, monographs until now have had two weaknesses: they were either too focused on a specific aspect of mereology or provided merely a broad-spectrum summary. 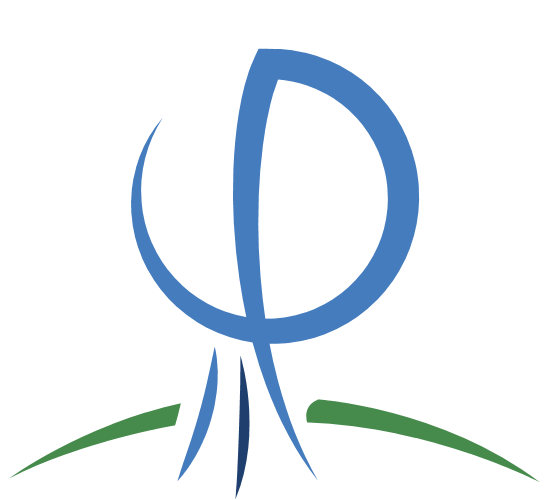 Regarding the former, there are F. Moltmann’s Parts and Wholes in Semantics (1997) regarding linguistic structures, A. Varzi and R. Casati (1999) and Kleinschimdt (2014) on parts and space, and C. Calosi and P. Graziani (2014)’s collection on mereology and special sciences. In the latter case, there are the good — but outdated — introductions of P. Simons (2000) and M. Libardi (1990), and the recent H. Burkhardt et al. Handbook of Mereology (2017). Lando’s book is the first real attempt to present an accessible general introduction to the problems of the field from a precise standpoint. In particular, this book adopts the perspective of CEM (Classic Extensional Mereology), the theory of parts and parthood that has its roots in Nelson Goodman’s A World of Individuals (1956) and David Lewis’ Parts and Classes (1991) and On the Plurality of Worlds (1986). The book is organised into one introductory chapter, three main parts, and an appendix. The first part describes how mereology works and which relations and features a mereological theory must satisfy; the second part defends the idea that CEM is the only correct theory of mereology (i.e. argues for monism); the final part defends and clarifies the core principle of Unrestricted Composition from different kinds of criticisms. The introduction (Chapter 0) expounds the main concepts of Classic Extensional Mereology. CEM is the theory according to which: 1) parts are in transitive relationships with other parts; 2) given n objects, there exists another thing n+1 composed by the n objects; and 3) given some objects, there exists only one fusion of them. Giorgio Lando then distinguishes the semantical senses of the term “mereology”: mereology can be intended as the sub-discipline of metaphysics that studies parts, as a theory that explains the parthood relation, or as the correct theory that describes parts. Lando identifies mereology with the third sense; specifically, he chooses CEM as the best candidate for being a unique and proper mereological theory. In this perspective, Lando claims that he has oriented his explanation towards a defence of CEM. Afterwards, he explains how the CEM arises from David Lewis’s attempt to develop a topic-neutral tool to solve problems concerning classes. Lando’s primary aim is to develop Lewis’ account into a full metaphysical theory with ambitions of generality. At the same time, the secondary goal is to clarify CEM and monism against the most common objections. The first part, “Methodology of Mereological Monism,” is dedicated to methodological remarks concerning the scope of mereology — and the role CEM plays in it. Chapter 1 explores the semantic sphere of mereology: it starts by clarifying the semantics of the term “part” and formulating criteria a part must satisfy. Lando argues that a part should satisfy spatial location, selectivity and formality. A part is spatially located when it has a spatio-temporal location relationship through the same region of space. In addition, a part must satisfy selectivity, that is, it must have clear boundaries in order to be identified. Finally, a part must stand in a binary relation with another part; in this sense it must satisfy formality. Furthermore, Lando wants to make clear that mereology concerns literal parthood, not metaphorical cases. For example, the notion of parthood invoked in the sentence “You are part of my heart” is not a genuine example of parthood as investigated in mereology, because it is not literal. Chapter 2 defends mereological monism and shows why CEM could be useful in a range of different cases. Lando argues in favour of monism that it gives clear and unambiguous criteria to decide what is a part and what is not a part. This is an advantage that pluralism, in which one accepts multiple mereological theories, does not have. Because pluralism accepts numerous ways to discriminate parthood, each different from the others, it offers no unified notion of part. Chapter 3 elucidates the relationship between mereology and formalism. The fact that mereology aims at generality and must be characterized as neutral does not imply that mereology is a kind of logic. Mereology aims to describe parthood in the broadest way possible. In this sense, it must be understood as formal: mereology can be applied to every part-whole relationship, independently from what “part” means in the context. Consequently, Lando argues, CEM is the best candidate to achieve the ambition of generality. Having described the overall requirements and goals of a mereological theory, Chapter 4 argues in favour of the axioms of CEM. Here, Lando expounds and justifies the axioms of Transitivity, Reflexivity, Antisymmetry, and the Proper-Parthood definition. The second part, on “Extensionalism,” enters into fine-grained details in responding to examples against Extensionalism and the Uniqueness of Composition. Chapter 5 analyses why uniqueness of composition and extensionalism are not negotiable points of CEM, and how these two points are essential to a nominalist account of structures of parts. Lando claims that nominalism is necessary in order to have a general mereological theory that is independent of single structures. By “structure” Lando means the configuration and order of individual parts. If a mereological theory is case-sensitive regarding structures, then it would lose some degree of generality. Chapter 6 clarifies the conceptual distinction between Extensionalism and Uniqueness of Composition: firstly, how they differ in their formalization; secondly, which tasks the quantifiers in the formulations cover. Chapter 7 offers a concrete application of CEM in order to show its virtues. Taking the example of a mountain, Lando demonstrates that CEM is able to: a) distinguish parts (e.g. the trees on its surface) from the proper parts of the mountain; b) give a clear account of cases of counterparts; and c) settle the issue of overlapping objects, that is, the mountain and the “mountmatter” on it, such as rocks, forests, rivers, etc. Chapter 8 faces the most difficult mereological cases, which relate to abstract objects. For Lando, a theory that aims for generality must also be able to explain parts of abstract entities, such as numbers and sets. 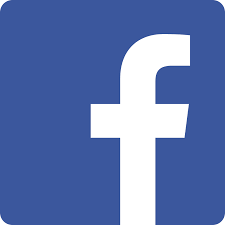 But a problem for CEM arises when one allows for the stipulation of entities that the theory cannot accommodate, namely facts and propositions. In what sense does a fact have parts, or does a word share the same letters with other words? Lando solves the issue claiming that these sorts of objects do not belong to mereology: abstract entities have their own identity criteria, independent from those of CEM. 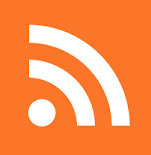 Chapter 9 examines alternatives to Extensionalism useful for fictional and controversial scenarios. These include, for instance, objects without clear boundaries among their parts (e.g. forms), or scenarios where it is no clear relationship involved (e.g. reciprocal parts). Nevertheless, non-extensional variants must be employed if and only if there are strong metaphysical motivations to apply them. The third part of the book, “Unrestricted Composition,” is dedicated to defending the principle of Unrestricted Composition. Chapter 10 treats the notion of fusion and its relationship with ontological economy. Specifically, Lando settles the issue regarding how quantifiers in Fusion’s axiomatization have plural variables as domain. Chapter 11 refines further this formal definition of the concept of Fusion. Chapter 12 upholds the existence of counterintuitive fusions, like that of the Statue of Liberty and a chair. However, Lando stresses that CEM accepts the plurality of fusions only as long as the parts involved are actual existing parts. Chapter 13 examines the problem of vague fusions. Unrestricted Composition could give rise to disquieting consequences like spatial or temporal disconnected fusions. However, the principle accommodates many of our standard intuitions, for instance, the case of spatially distributed things. A classic example is that of a fleet, in which the sum of the ships is not spatio-temporally contiguous. Despite this non-contiguity, on Unrestricted Composition, each ship counts as a part of the fleet. Finally, Chapter 14 evaluates the consequences of Unrestricted Composition for meta-ontology. In particular, Lando examines how the principle interacts with Quinean meta-ontology, Meinongianism, Williamson’s conception of being, and Kit Fine’s meta-ontology. In the brief Appendix that closes the book, Lando argues against the equivalence between Composition and Identity in mereological monism. Giorgio Lando’s book has the virtue of offering a clear introduction to mereology from CEM’s perspective. It explains what the methodology of the discipline is, and what is required for a theory of parthood. Every axiom of the theory is expressed and explained with clarity, and supported by a multitude of useful examples. Furthermore, it does this from the specific point of view of monism and CEM theory. In this sense, Lando covers an important gap in the literature: here we have a monograph that expounds a major topic and at the same time suggests to the reader a definite approach to follow. This approach avoids a deficiency possessed by many other introductions. Quite often, they are merely compendia of positions and notions. In contrast, this book starts by immediately giving reasons why CEM is the best candidate among competitor mereological theories. This is helpful in two ways: on the one hand, it benefits newcomers by offering a precise way of facing mereological problems; on the other hand, it helps the expert reader evaluate from the beginning whether CEM is convincing or not. Regarding the defence of CEM, Lando’s arguments are solid: he succeeds in defending the main principles of CEM from classic objections. His criticism regarding fusion and the unrestrictedness and uniqueness of composition — the most contentious points of CEM – is especially strong. The volume is also successful in upholding monism as respectable choice in meta-mereology: for example, by demonstrating why pluralism has problems in managing criteria of identity about parts and objects. In this regard, Giorgio Lando has reached his goal. Although the book is an extremely welcome addition to the study of mereology, it is not perfect. The first flaw is theoretical, while the second concerns the third part of the book, and the third regards some choices in the exposition. As already mentioned, Lando provides good arguments in favour of both monism and extensionalism. However, his account fails in its treatment of abstract objects. Lando’s justification of CEM is successful only in the case of spatio-temporal located entities. A mereological theory aspiring to be the single correct theory and the most general explanation does not have this luxury. Lando claims in Chapter 8 that CEM cannot treat stipulated cases violating its principles, or that abstract things such as numbers and words lack definite identity criteria. Thus, his argumentative strategy is to maintain that abstract objects are not in the scope of CEM. Nonetheless, on this issue he is not persuasive: CEM in conjunction with monism and the pretence of topic-neutrality cannot rule out abstract objects. Otherwise, CEM would lose its status of generality or one would be forced to admit that abstract entities require different mereological criteria. These are two unpleasant outcomes for a monist mereology. Excluding a class of entities from a theory is a respectable move, but it cannot be accepted as long as the goal of the theory is generality. About the second flaw of the book: as mentioned earlier, most of the book is accessible; however, the third part becomes a bit complex for a beginner. In particular, from Chapter 13 to 15, the discussion presupposes knowledge of many metaphysical positions. Despite the fact that they are summarized briefly, this treatment is insufficient for understanding these positions. The non-expert reader or philosopher with a different background will have some difficulties in following the explanation. This renders the last part more appealing to a philosopher already engaged in the debate than to a student with no expertise in the subject. My last critical remark concerns the space given to the pluralistic arguments: the discussion would have gained even more from the confrontation of CEM with other types of theories and pluralistic options. A deeper comparison of CEM with the competing alternatives would have been beneficial for the introductory purposes of the monograph. But I suppose that precise editorial requirements might have led the author not to include material on these different perspectives. To sum up, “Mereology: A Philosophical Introduction” is a fundamental addition to the extant literature on mereology: it describes systematically the basics of Classical Extensional Mereology, and the relevant arguments in its favour. It is the first introduction explicitly oriented to monism in the literature. Moreover, it addresses the classic objections to CEM; this makes the book valuable also for specialists interested in defending this approach. Moreover, the book discusses with completeness collateral issues like meta-ontological consequences, nominalism, etc. Nevertheless, it has some limits, theoretically speaking. Giorgio Lando is able to defend CEM in the case of spatio-temporal objects; however, it appears that there is a difficulty in treating abstract objects and defending CEM’s generality at the same time. Moreover, a confrontation with different theories would have been preferable for two reasons: it would have emphasized the strength of CEM in comparison and, simultaneously, would have informed the reader about opposing views in the field. An opinionated introduction does not mean that other positions must be excluded. Finally, the third part is sometimes too difficult for introductory purposes. Nevertheless, I warmly recommend the book, perhaps not to newcomers in metaphysics, but to a graduate student or philosopher with metaphysical commitments, who wants to deepen his or her understanding of CEM. Burkhardt, H., Seibt, J., Imaguire, G., Gerogiorgakis, S. (Eds. ), 2017. Handbook of Mereology, Analytica. Philosophia Verlag GmbH, Munich. Calosi, C., Graziani, P. (Eds. ), 2014. Mereology and the Sciences. Parts and Wholes in the Contemporary Scientific Context, Synthese Library. Springer, Cham Heidelberg New York Dordrecht London. Goodman, N., 1956. A World of Individuals, in: Bochenski, J.M., Church, A., Goodman, N. (Eds. ), The Problem of Universals. A Symposium. Notre Dame University Press, Notre Dame, pp. 13–31. Kleinschmidt, S., 2014. Mereology and Location. Oxford University Press, Oxford, New York. Lewis, D., 1991. Parts of Classes. Blackwell, Oxford. Lewis, D., 1986. On the Plurality of Worlds. Blackwell, Oxford. Libardi, M., 1990. Teorie delle parti e dell’intero. Mereologie estensionali, Quaderni del Centro Studi per la Filosofia Mitteleuropea. Trento. Moltmann, F., 1997. Parts and Whole in Semantics. Oxford University Press, Oxford. Simons, P., 2000. Parts. A Study in Ontology. Oxford University Press, Oxford. Varzi, A., Casati, R., 1999. Parts and Places. The Structures of Spatial Representation. MIT Press, Cambridge MA, London. Few articles in the recent history of philosophy have yielded as large, and confusing, a literature as has McTaggart’s 1908 the Unreality of Time. Whatever one thinks of the status of the argument contained in that paper—what has became known as McTaggart’s Paradox—there is no denying that it, and the distinctions McTaggart introduces in that paper, have shaped the philosophy of time in many and deep ways. Each of us working in the philosophy of time locates ourselves by appealing to McTaggart’s terminology of the A, B and C series, and by noting the ways in which we agree (and disagree) with McTaggart. Indeed, frequently philosophers’ preferred view in the philosophy of time is heavily influenced by the way they see McTaggart’s Paradox. Had McTaggart known what the future held, and had he, perchance, needed to complete an ‘Impact Statement’ for some kind of quality assessment metric, we can safely say his score would have been excellent. (Fortunately for McTaggart, he died before he ever had to turn his attention to Impact Statements). All of this makes Ingthorsson’s book length treatment of McTaggart’s Paradox in McTaggart’s Paradox, a valuable addition to the literature. What makes the book of particular interest is that it carefully contextualises McTaggart’s arguments in his 1908 paper in terms of his overall metaphysical picture laid out in his two companion monographs The Nature of Existence I (1921) and The Nature of Existence II (1927). 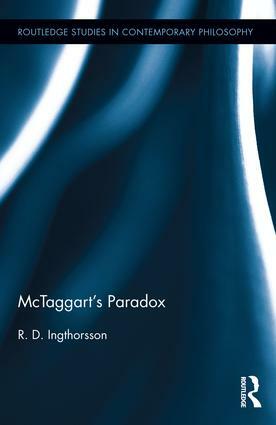 Ingthorsson’s book is a careful explication of McTaggart’s Paradox in the context of McTaggart’s broader metaphysical commitments. Indeed, Ingthorsson compellingly argues that failing to see the argument in these terms can, and has, led to various confusions. One of the many merits of the book is that not only does it present and interpret the argument in context, but, in so doing, provides an account of why the argument has been so very controversial, and why it remains so today. Ingthorsson argues that one of the primary causes of disagreement and confusion have been competing misinterpretations of the argument that have arisen due to viewing it as an entirely stand-alone argument that can be understood and evaluated in isolation from McTaggart’s broader commitments. Whether contemporary philosophers of time share those broader commitments or not, it is valuable to set the argument within the broader context and to see how various interpretations (or misinterpretations) of, and responses to, the argument, sit within that context. To that end, this is an important contribution. The book is also valuable because it offers an historical overview of the various strands of responses to McTaggart’s Paradox. Ingthorsson carefully shows where contemporary responses have historical precursors, and what those are. That makes it an interesting piece in the history of philosophy. More than that, though, the book does a commendable job of categorizing the kinds of responses that have been made to McTaggart’s Paradox over the years. This is no small feat given the wealth of responses that the argument has garnered. It is much to be admired that someone has managed to sift through the various papers as they appeared from 1908 onwards, with a view to articulating and categorising those responses in a useful manner. This allows the reader to ignore the many small differences in approaches and instead focus on the important philosophical similarities between approaches. For anyone who wants to get to grips with the major threads of thought that developed in response to McTaggart, this is an invaluable resource. While the book’s principal aim, at least as I read it, is to articulate McTaggart’s argument, place it in context, and then consider the ways in which the argument has been interpreted and responded to, the book certainly ought not be thought of as primarily about hermeneutics or history of philosophy. Ingthorsson has plenty to say, along the way, about where he thinks responses to McTaggart’s Paradox hit the mark, and where he thinks they do not. He also offers a number of positive arguments of his own about what he thinks the argument establishes, and what he does not. These are also valuable additions to the literature. So there is much that is interesting and rewarding about the book—too much to cover in this review. Instead, in what follows I will consider just two of the issues that jumped out at me as I read, and which I thought deserved particular attention. In reading the book I was particularly interested in its explication of McTaggart’s account of how it is that it comes to appear to us as though there is a temporal dimension—the appearance as of there being a temporally ordered succession. (Here I suppose that successions have a direction, not merely an ordering, and so the appearance is as of there being a temporal ordering that runs from past, to future). Since McTaggart thinks there is no such ordering (no such temporal ordering that is) he incurs the explanatory burden of explaining why it seems to us as though there is. This is a burden that he takes up. McTaggart’s explanation of these seemings are of particular interest in the contemporary context, since the issue of why things seem the way they do to us, temporally speaking, is one that has become pressing over the last few decades. We find contemporary A-theorists arguing that because it appears to us as though there is an A-series—it appears to us as though events occur in a particular ordered succession and that time itself passes—we have reason (albeit defeasible) to suppose that this is the way things are, and that in fact some version of the A-theory is true. Or, put more strongly, such theorists argue that the best explanation for these appearances are that time is indeed this way. B-theorists, unsurprisingly, have responded in one of two ways. They have either argued that in fact things do not appear to us this way at all (though perhaps we mistakenly believe that things appear to us this way, or they have argued that things do indeed seem this way, but them seeming this way is an illusion. The latter have attempted to spell out how it is that we are subject to this illusion, the former have attempted to spell out how it is that we come to have such false beliefs about the way things seem. In this regard, then, the B-theorist is in something like the same boat in which McTaggart found himself. To be sure, the B-theorist does not need to explain why it seems to us though there are temporal relations despite there not being said relations, since unlike McTaggart B-theorists think that the presence of B-relations in the absence of A-properties is sufficient for the existence of temporal relations. Yet the B-theorist does owe an explanation of why it appears to us as though there is an A-series (or why we falsely believe that it seems to us that way) and in this regard she shares a common explanatory burden with McTaggart. Moreover, in that, the B-theorist is not alone. The C-theorist, who thinks that it is sufficient for the existence of temporal relations that there exist C-relations in the absence of B-relations or A-properties, incurs all the explanatory burdens accruing to the B-theorist, and more still. For the C-theorist must, in addition, explain why it seems to us as though there is a B-series: that is, she must explain not only why there appears to be an ordered temporal sequence, but also, why that ordering appears to have a direction when, according to her, it does not. By contrast, since the B-theorist thinks the temporal ordering has a direction (but does not have any A-theoretic flow) she can explain this appearance as veridical. Finally, some contemporary physicists, in their desire to reconcile quantum mechanics with the general theory of relativity, have defended so-called timeless physical theories, according to which there is not even a C-series ordering of events. These theorists incur all of McTaggart’s explanatory burdens, since they need to explain why it seems to us as though there is a temporal ordering, when, in fact, there is none. McTaggart suggests that they [the terms in the C-series] are related in terms of being ‘included in’ and ‘inclusive of’ (S566 of NE). Very briefly, the only way he thinks we can explain the appearance of a series of entities related by the earlier than/later than each other is if we assume that, for any two terms in the series (except the first and last is there is a first and last) the one includes the other. The perception of a mental state that includes another can give rise to the misperception that the included content is a part of the content that includes it, and mutatis mutandis for mental states that are included in another. The relations of included in and inclusive of are asymmetric and transitive and so give a sense of direction, and are meant to be able to give rise to a false sense of change, and that in turn gives rise to a false sense of one term being earlier or later than another. (McTaggart’s Paradox pg 59). Unsurprisingly, McTaggart appeals to the existence of the C-series, alongside certain features of our mental states, to explain the way things seem. This is important, since in doing so McTaggart appeals to the very same resources the C-theorist takes herself to have. So if his explanation is good (or at least, on the right track) then it is an explanation to which the C-theorist can avail herself. If I understand the proposal correctly, McTaggart’s explanation for the appearance as of succession (and with it, change) looks something like what have become known as retentionalist models of temporal experience. According to such models, roughly speaking, the mental state that obtains at one time can, as part of its content, include content from mental states that obtained at other times. So, in theory at least, mental states can have a nested structure, whereby one, as part of its content, includes the content of another mental state, which, in turn as part of its content, includes another mental state and so on. This complex nested structure is precisely the structure McTaggart supposes mental states to have. One might have attempted to explain this nested content in terms of the relations of earlier/later than, by noting that later mental states include content from earlier mental states (but not vice versa). But the proposal, here, would be to explain the appearance as of there being relations of earlier/later in terms of the nesting of mental states by suggesting that the appearance as of a directed succession is given by the existence of these nested states. In particular, since the relation of inclusion is itself asymmetric and transitive, then if mental states have that nested structure along the C-series ordering, then they are ordered by a relation that has the same formal features as the earlier/later than relation. Indeed, something like this picture seems to be a precursor of contemporary C-theoretic explanations for the appearance as of temporal direction in terms of, inter alia, asymmetries of memory, knowledge, and deliberation. In fact, something very close to McTaggart’s proposal is to be found in the work of contemporary timeless theorists. Those theorists, of course, do not have recourse to the existence of a C-series as a partial explanation of the way things seem. So they appeal entirely to unordered (temporally unordered, that is) nested mental states to explain why it seems to us as though there is an ordering (the appearance of ordering is, as it were, the product of the nesting) as well as why that ordering appears to have a direction. The explanation cannot, of course, end there. It might be right that this nested feature of our mental states gives rise to the appearance as of temporal succession where there is none. But there remains the question of why our mental states have this feature at all: why do some mental states include others? Given the rich resource of McTaggart’s thought, it would be of significant interest to pursue the question of what more he has to say about why mental states have these features. Of course, contemporary philosophers of time will typically point, at least in part, to features of increasing entropy to explain why mental states exhibit this ‘nesting asymmetry’; but it would be of interest to investigate McTaggart’s own views on this. Interestingly, what all this tells us is that the gap between McTaggart and the C-theorist is, in fact, quite slender. McTaggart agrees with the C-theorist that what gives rise to the appearance as of a temporal succession is the existence of the C-series, combined with certain (asymmetric, transitive) relations (i.e. inclusion) that obtain between our mental states. Where they disagree is in whether the C-series, absent any B- or A-series, is properly called temporal or not. And there, of course, we come back to the issue of whether such a series can give rise to ‘genuine’ change. For the reason that McTaggart concludes that the C-series is not temporal is that in the absence of an A-series, there would be no genuine change, and genuine change is necessary for an ordering to be temporal. Thus neither a C-series nor a B-series, absent an A-series, could count as a temporal series. Both B-theorists and C-theorists reject the claim that there can be no genuine change in the absence of an A-series, and Ingthorsson takes up this issue in chapter 7. There, he argues that McTaggart was right in at least the following way: the B-theory is incompatible with genuine change, since genuine change requires enduring objects—objects that are wholly present at each time they exist rather than being merely partly present as are perduring objects—and the B-theory cannot accommodate such objects. The reason endurantism is suppose to be the only view of persistence that captures genuine change, is that it entails that persisting objects are numerically identical over time, so that one and the same object exists at multiple times, and at those times instantiates different properties. Thus persisting objects endure through changes, rather than change being a matter of persisting objects having parts with different properties at different times (as per perdurantism). The idea that the B-theory is incompatible with endurance, then, is an interesting (and important) claim, and one that it is worth further consideration. For if time does require genuine change, and if genuine change requires endurance, then McTaggart was right all along: if all events, objects, and properties exist (if eternalism is true) then there exists a C-series and perduring objects, but there does not exist any temporal ordering of the objects in the C-series. Let’s set aside the issue of whether genuine change requires endurance, and whether, if it does, genuine change is, in turn, required for an ordering to be temporal. Instead, let’s just focus on Ingthorsson’s contention that the B-theory is incompatible with endurance. The idea is that just as the football sweeps across the field, and is at no time at multiple places on the field (but rather, at each in succession) somehow the same ought be true of enduring objects. It is worth noting that this argument, if it succeeds, succeeds against views that accept something weaker than the temporal parity thesis. It succeeds against any view that says that there exist a least two times t and t*, such that whatever objects, properties and events exist at t, and whatever objects, properties and events exist at t*, all of those objects, properties and events co-exist (i.e. exist simpliciter). Presentism denies even this weak thesis, but other non B-theoretic views such as the growing block and moving spotlight theories do accept that weaker thesis. If the argument succeeds, then, it shows that every view of temporal ontology is incompatible with endurance (and hence, perhaps, with genuine change and with temporal relations) aside from presentism. That’s because Ingthorsson’s view about what it would take for an object to be wholly present, and hence to endure, requires that said object exists at only one time, and nowhen outside that time. But if any other times exist than the present one, then this would flout that requirement. To be sure, if being wholly present means being at one time, and nowhere else, then it must be the case that endurance is incompatible with any view but presentism. But ought we think this is so? Of course, in the case of the moving football—what we might call the spatial case—what it is to move through space (very roughly, setting aside issues of relativity) is to exist at different spatial locations at different times. Hence at any one time one will see the football at a single position along its trajectory: we will see it at one place on the field, and at no other. But if one ‘sees’ all times, one will see that object at each location along its trajectory: that is, in fact, what a worldline is, in Minkowski space-time. So one sees a whole set of co-existing three-dimensional objects, each of which is the football at one time. Why should that be puzzling? Why should it show that the football is not, in any good sense, wholly present at each spatial location at which it is located at each time? What is the sense in which the ball is wholly present at each of those locations, given that, quite clearly, it is present at more than just one location? It is the sense in which at each time, what exists is all of the ball—all of the three-dimensional object that is the ball, as opposed to there existing some three-dimensional object that is a mere part of the ball. To be sure, what we see when we look at the full four-dimensional representation of the ball’s movement across the field is that the ball fills a four-dimensional region of space-time (namely its four-dimensional trajectory through space-time). But that doesn’t make the ball four-dimensional, since one way of accomplishing this filling of space-time is for the ball to endure, and to fill that region by being wholly located at each of the three-dimensional regions. The ball moves across the field, and it does so by existing at different places at different times, not by existing only at a single time, and by different times themselves existing sequentially. Ingthorsson is aware of such a view, noting that, many contemporary endurantists (those who think persisting objects endure) think that endurance is compatible with the temporal parity thesis. Such endurantists hold that we should understand what it is to be wholly present in terms of a multi-location thesis spelled out in terms of different location relations that objects bear to regions of spacetime. To be sure, they say, the enduring ball is located at different times (all of which are equally real) but it endures nonetheless, since it is the very same, numerically identical, three-dimensional ball, that exists at each of those times. Ingthorsson, however, thinks that such a view falls foul of the problem of temporary intrinsics. Does it? I don’t see why. If the ball is, indeed, multiply located then there is just one ball, located in many places. It doesn’t sweep through time, to be sure, but the entire ball is located at each time, and each such three-dimensional object is one and the same thing. That ball has a single complete set of properties—the properties that completely characterise the ball—which mention how it is at each of those times. One might worry, as Ingthorsson does, that this makes the instantiation of properties into disguised relations to times, since the ball must instantiate properties such as being dirty at one time, and being clean at another (let’s suppose the ball picks up dirt as it traverses the field). But it’s hard to feel the force of this worry, given the picture on offer. If it turns out that objects persist by being multiply located along the temporal axis, then they do so by bearing location relations to each of the three-dimensional regions they occupy. A single persisting ball bears a series of location relations to a series of such regions. But in that case one might expect that at each of such region, the ball will instantiate properties relative to that location. It’s not as if this is an ad hoc proposal borne of the need to reconcile change with Leibniz Law (a la the problem of temporary intrinsics); rather, it seems to be the natural thing to day for someone who endorses this picture. No doubt, however, there is much more to be said here, and McTaggart’s Paradox sews the seeds for such discussion. Whatever one makes of the arguments, the book is a rich source of argumentation and discussion of a number of core issues in the philosophy of time, and for that reason is well worth a read. Barbour, J. (1999). The End of Time. Oxford; New York: Oxford University Press. Baron, S., Cusbert, J., Farr, M., Kon, M, & Miller, K (2015). Temporal Experience, Temporal Passage and the Cognitive Sciences. Philosophy Compass. 10 (8): 56—571. Baron, S and K Miller (2015). “What is temporal error theory?” Philosophical Studies. 172 (9): 2427-2444. Baron, S and K Miller (2014). “Causation in a timeless world”. Synthese. Volume 191, Issue 12, pp 2867-2886 DOI 10.1007/s11229-014-0427-0. Braddon-Mitchell, D (2013). Against the Illusion Theory of Temporal Phenomenology. CAPE studies in Applied Ethics volume 2 211-233. Gilmore, C. (2014). “Location and Mereology”, The Stanford Encyclopedia of Philosophy (Fall 2017 Edition), Edward N. Zalta (ed. ), URL = <https://plato.stanford.edu/archives/fall2017/entries/location-mereology/>. Eagle, A., (2010a). “Perdurance and Location”, in D. Zimmerman, ed., Oxford Studies in Metaphysics, vol. 5, pp. 53–94. Hoerl, C. (2014). Do we (seem to) perceive passage? Philosophical Explorations, 17, 188–202. Kutach, D. (2011). The Asymmetry of Inﬂuence. In Craig Callender (ed. ), Oxford Handbook of Philosophy of Time. Oxford University Press. McTaggart, J. M. E. (1908). The Unreality of Time. Mind, 17(68), 457–474. McTaggart, J. M. E. (1921). The Nature of Existence Vol 1. Cambridge, CUP. McTaggart, J. M. E. (1927). The Nature of Existence Vol 2. Cambridge, CUP. Parsons, J. (2007). “Theories of Location”, Oxford Studies in Metaphysics, vol. 3., pp. 201–232. Paul, L. A. (2010). Temporal experience. Journal of Philosophy, 107, 333–359. Price, H. (1996). Time’s Arrow and Archimedes’ Point: New Directions for the Physics of Time, Oxford: Oxford University Press. Prosser, S. (2012). Why does time seem to pass? 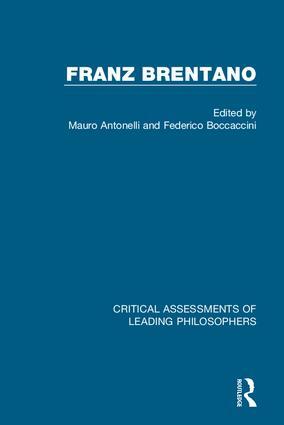 Philosophy and Phenomenological Research, 85, 92–116. Torrengo, G. (forthcoming). “Feeling the passing of time”. The Journal of Philosophy. See Baron et al (2015) for an articulation of such arguments. See for instance Braddon-Mitchell (2013); Hoerl (2014); Torrengo (forthcoming) and Latham et al (ms). See for instance Latham et al (ms). See for instance Paul (2010); Prosser (2012). See for instance Price (1996) as an example of a C-theorist. See Barbour (1999); for philosophical discussion see Baron and Miller (2014 and 2015). See for instance Kutach (2011). Ingthorsson uses the term ‘A-view’ to pick out presentism exclusively, and uses A/B hybrid to pick out other views that include an A-series, such as the growing block and moving spotlight view which hold that some non-present objects exist. See Parsons (2007); Gimore (2014) and Eagle (2010).